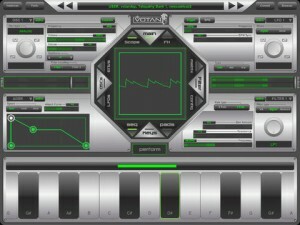 Votan Telepathy is a groundbreaking multi-purpose synthesis engine harnessing cutting edge technologies with traditional sound sculpting techniques. 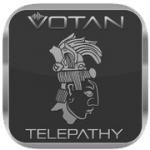 The power beneath Votan Telepathy is based in its cloud and communication platform where you can create sounds and instantly share with friends and colleagues. The Votan Telepathy synthesis engine is also available as an 32/64 bit Audio Unit plugin with the iOS app acting as an ultra low latency touch controller for multiple instances of the synth in your favourite DAW. You can create new sounds on your iPad, that magically appear in the Audio Unit to be used in a professional DAW environment. 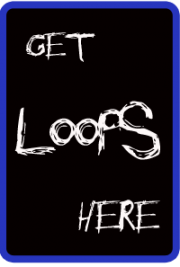 4 x Free Range Oscillators with Band-limited alias free Virtual Analogue waveforms. Free-range means they can be unlocked from key frequencies, and then used intelligently as audio rate modulators for FM and Ring Modulation. You can also morph between the different wave-shapes (Sine, Triangle, Sawtooth, Square). 4 x Multi-filters with traditional Virtual Analog(Moog Ladder, MS20, TB303 emulations), Digital IIR and Formant Phase filters, 2/4 Pole with standard filter types Low Pass, High Pass, Band Reject, and Band Pass. In depth internal filter routing between the filters, with Parallel, Series and Stereo Split. 4 x LFO’s with transitional and morphing wave shapes. 4 x Envelopes, standard ADSR, Filter and 2 x assignable envelopes. 4 x FX Slots with Delay, Distortion, Chorus, Flange, 4 Band EQ, Decimator, and Glitch algorithms. 4 x XY Pads, with direct assignment of ALL parameters for in-depth performance control. You can trigger notes directly from the Pads.